Partnering with a cannabis producer on the East Coast stays true to the humble beginning of the famous show, the Trailer Park Boys. 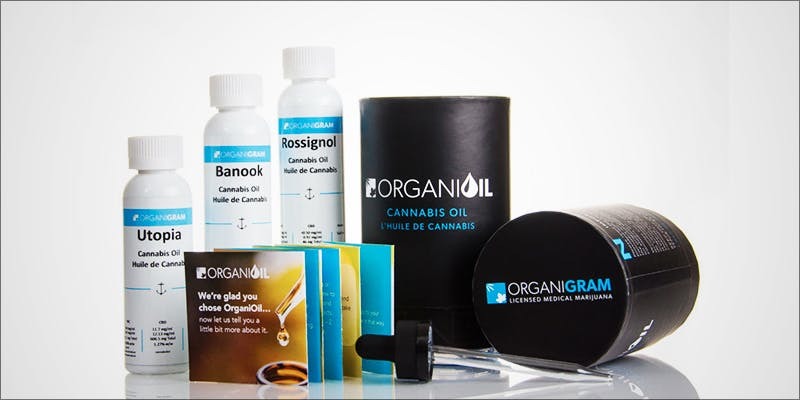 The Canadian medical cannabis brand OrganiGram has officially partnered up with TPS productions, a company owned by none other than Mike Smith (Bubbles), Robb Wells (Ricky), and John Trembley (Julian). OrganiGram operates out of Moncton, New Brunswick and is a licensed producer of medical cannabis. The brand hopes that with the upcoming recreational legalization, the partnership with The Trailer Park Boys can bring them nationwide success come Spring of next year. According to sources involved in the deal, the Trailer Park Boys have been searching for a long time to get involved in the Canadian cannabis industry. The partnership makes perfect sense because of the location of OrganiGram. Partnering with a producer on the East Coast stays true to the humble beginning of their famous show. Since the show started in 1999 it had been strictly Canadian entertainment with little to know international following. But in 2014 when TBS Productions partnered with Netflix, their popularity has exploded into the US and abroad. With the new cannabis deal, fans that visit Canada might specifically search out some of that Trailer Park Boys weed. The excitement from the side of TBS Productions shows how eager they were to jump into the cannabis market before it goes legal nationwide. With only supplying Medical cannabis to a relatively small population, OrganiGram doesn’t have very much experience with large volumes. The recreational market will be massive in Canada, and when you partner with The Trailer Park Boys, they’ve got to be ready for the demand. But will they be able to maintain their high levels of quality as production increases so rapidly? They seem prepared as the comments from the CCO all but confirm their timeline up until legalization. This relationship solidifies one of our strategic building blocks as we plan for the legalization of recreational use in Canada. The team at Trailer Park Boys have an aligned vision to develop a National brand with our assistance and we’re incredibly excited at how the partnership will come to life. We remain firmly committed to producing and supplying world-class cannabis for our increasing patient base; and we plan on maintaining that commitment in the future at OrganiGram. But we also need to be strategic about the opportunities that will be afforded to us with the advent of recreational use in Canada. Brands will play a key role within the cannabis market space, and we’re devoting the thought leadership and developing our strategy well in advance of these expected changes to ensure we’re prepared. – Ray Gracewood, Chief Commercial Officer at OrganiGram.